Family Mentors: works closely with the partner family to ensure completion of sweat equity hours, class attendance, and to offer support with other needs that may arise during the process. On average this relationship involves a 2 year volunteer commitment. Prayer Partners: Pray for HFHGWA program and its leaders, pray for our homeowners, family prayer partner, pray over current project, groundbreaking and dedication ceremony. Communications: Maintain communication with affiliate partner churches. Update project progress, prayer needs, volunteer opportunities and program needs. 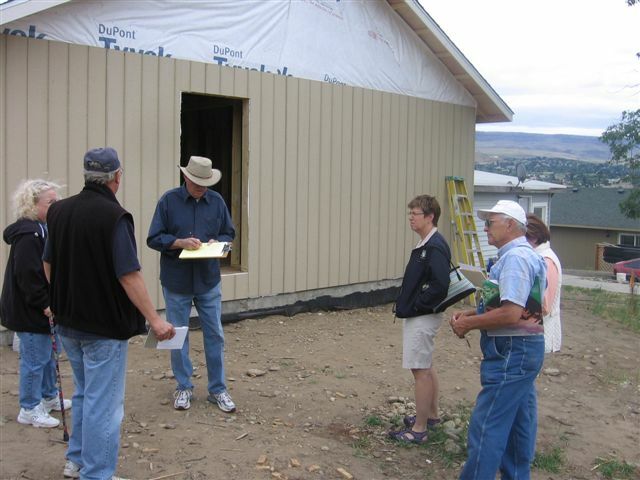 Education & Outreach: In collaboration with various committees, plan, organize and execute opportunities to education the partner churches and members about the mission and purpose of HFHGWA. Participate in trade show and other community sponsored events. Events: In collaboration with Volunteer Coordinator, plan, organize & execute community fundraising, education and recruitment events. Participate in trade shows and other community sponsored events. Communications: Manage updates to web page, Facebook & other social media as well various community event calendars. Research and maximize other communication outlets. Education & Outreach: In collaboration with Volunteer Coordinator, plan, organize and execute opportunities to education the community about the mission and purpose of HFHGWA. Participate in trade show and other community sponsored events. Fundraising Committee members design, develop and implement a wide variety of fundraising tools that help support our mission. These could include special events, donations from individuals, churches and corporations, grants, gift-in-kind donations, capital campaigns and donations to our endowment fund.